Tired of carrying around your bulky key ring? 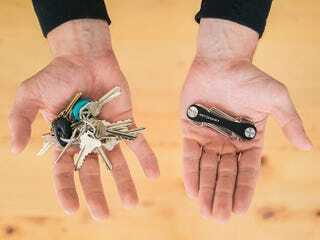 Check out KeySmart 2.0 - it’s a slim and lightweight key organizer that lets you attach up to 10 keys in one compact unit. Right now, Deadspin readers can grab one for 26% off - just $16.99 + free shipping.